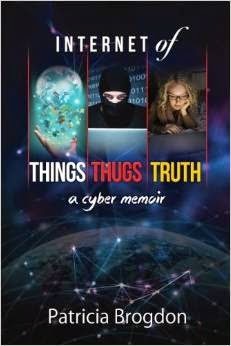 "Internet of Things, Thugs, Truth," by Patricia Brogdon, is a story of an IT employee's journey. The author is a longtime IT employee, and her memoir chronicles her entry into the tech world with her first job at an FTP software company, eventually getting into the cyber security industry. In addition to the expected information about the author's journey in the tech industry, the author documents her spiritual journey, which occurred at the same time. The author writes in a way that allows even the computer-illiterate reader to understand the basics of the IT field. Brogdon does a good job capturing the important details of the people who played a role in her journey, adding a very "real" feel to this memoir. If you are interested in the tech industry, personal growth, or just memoirs in general, this is a must-read.